At a time in our lives, we have identified with the Marvel heroes and reel superheroes. My family and I were thrilled getting an invite to dine in this great place. TV monitors were mounted all over the place. The plethora of TVs to watch any sport you wanted makes a nice, fun atmosphere. My childhood dreams came alive at Movie Stars Café. The movie-themed restaurant is a showcase of one’s favorite hero, villain, anime. There were props from different movies all over the place. Life-sized statues of the Catwoman, Shrek, Spiderman, the Aliens and autograph pictures of actors decorate every nook and corner. 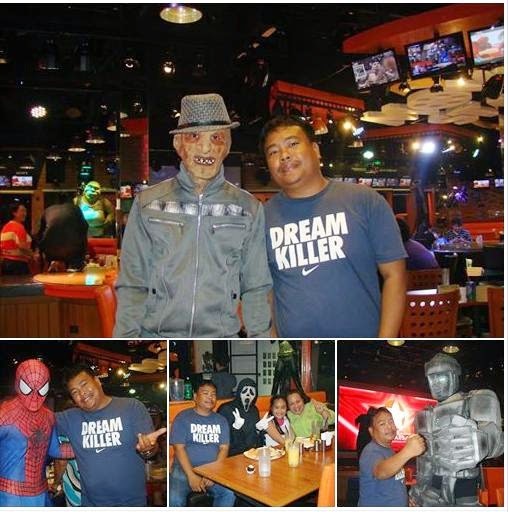 The costume-clad waiters and waitresses were ready to serve and ready to make customers happy as we acted like kids again. We were surrounded with movie stars everywhere. We felt genuine hospitality as we enjoy dining in, and watching the productions. Movie Stars Cafe is an awesome place to reminisce childhood hero fantasies being in the company of different movie characters and mingling with them. My favorite among them is spiderman. He actively engages in candid poses with guests while balancing on backseat beams. I also love the Spiderman show. Danica’s favorite was “Beauty and the Beast” on the Easter Sunday night that we went. Shows are held at 30-minute intervals starting from 7PM. Movie Stars Café allows you to take pictures with your favorites as the staff dressed up in various movie characters provide entertainment. They approach guests ready with posing gestures of the character they're in. They make sure everyone gets a good laugh and enjoys a great cosplay eyecandy on and off stage. 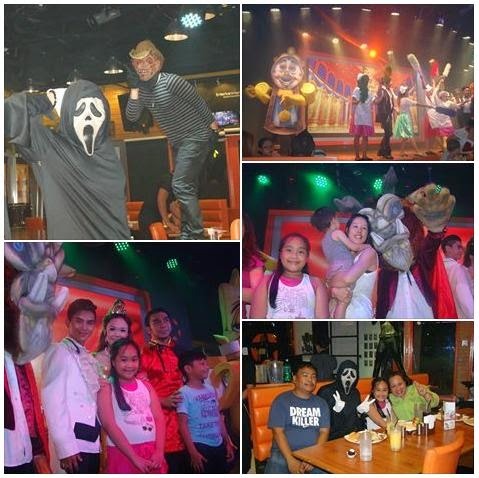 Movie Stars Café's fun atmosphere had my daughter enjoyed going around the hero-themed restaurant for more snapshots. Movie Stars Café offers buffet or ala carte food. The buffet spread is a meat lovers delight. If you're not too hungry, I suggest that you order ala carte. The restaurant offers American and Intercontinential food. Their thin-crust pizza is a must try! You will love the musicale and movie show productions and find the Movie Stars Café as an entertaining place. Go visit Movie Stars Café soon using discount code GIFM-4358. This discount code will entitle you to 10% off your total bill. Yeah, I agree. 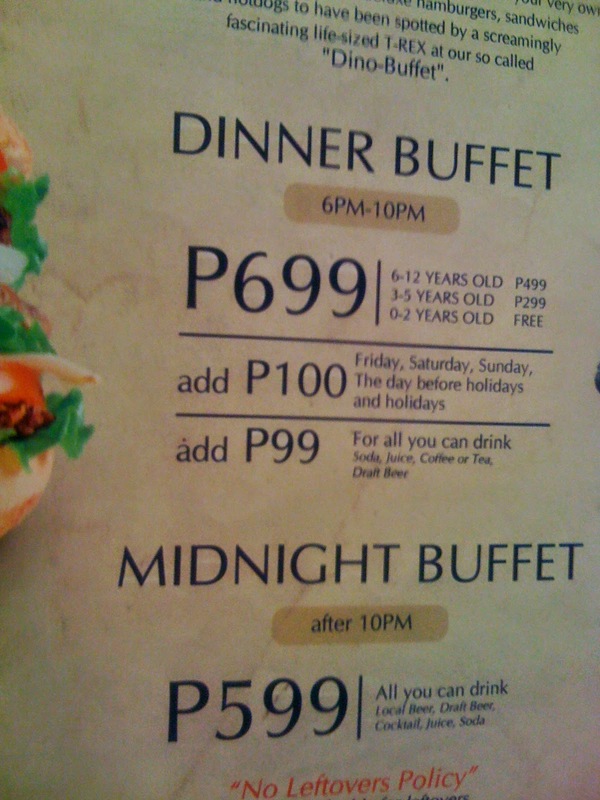 Their a la carte items are better than those in the buffet. Entertainment is so amazing here! It feels like hollywood at Movie Stars Cafe. I should visit the place. im so excited to try this na. what do you suggest pala? buffet or ala carte? Go for ala carte. It gives you more value for money. This is the perfect cafe for freaking hollywood movie lovers like me. such a fun place!! this is perfect for celebrations!! amazing idea! For my fiance this place would be the perfect one! He is a big fan of Hollywood movies, especially of Spiderman Movies. I'm sure he will. The Spidey show was really awesome! The buffet food is so-so and disappointing. The Spiderman guys are funny and very game to pose with you. The other characters were not really so when we went there. We stayed through their four programs, and they were entertaining. �� thumbs up for the creativity of this cafe. its a pretty awesome idea-very catchy especially for kids and movie lovers. I was contemplating to sign up for this invitation because we live too far from Mall of Asia. I guess my son would love to dine there and see those characters.